Great news! My playing partner and gentle younger brother-like chess friend Abu Sufian Shakil has become International Master. Liza also became Women International Master, second only after WIM Rani Hamid. Moreover, Ziaur Rahman winning the 3.2 Zonal tournament will play the next cycle for World Chess Championship representing this zone. Shamima Akhter Liza became country's second Women International Master (WIM) after Rani Hamid, who won it in 1985, as she earned seven points from nine games in Asian Chess Zone 3.2 Championship in Sri Lanka yesterday. Liza and Ranasinghe of Sri Lanka earned equal seven points but the latter finished top by virue of a tie breaker. Liza had earned her first WIM norm last year during Six Seasons Women's International Rating Chess in Cox's Bazar. Apart from Liza, FIDE master Abu Sufian Shakil also earned his third and final norm of International Master from the championship as Shakil secured 6.5 points from nine matches to finish third in the men's section where GM Ziaur Rahman finished top to qualify for the World Chess Championship. 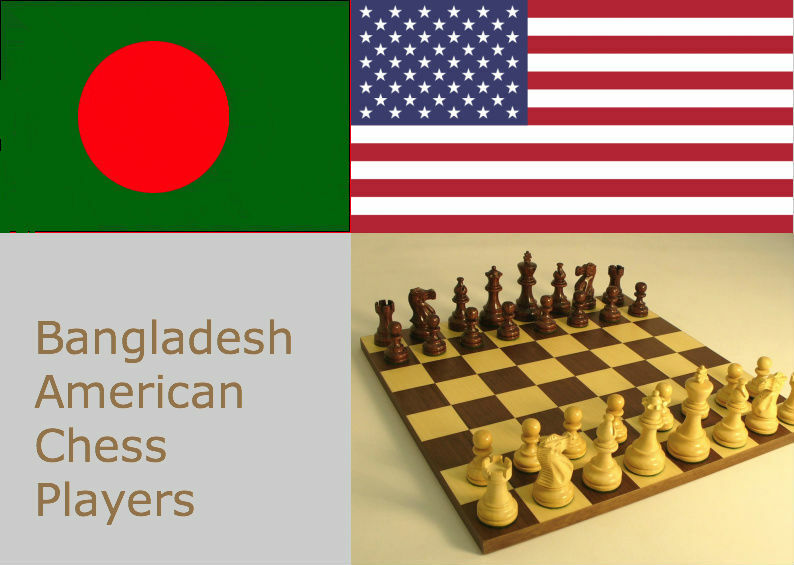 Shakil had earned his first IM norm back in 2009 from the National Chess Championship and then secured the second one from a competition in Indian state Orissa last year, according to information provided by Bangladesh Chess Federation. Areshchenko clinches title in a tie-break with 9 points while GM Ziaur Rahman of Bangladesh scores 8.5 points. Top seed Ukrainian Grandmaster Alexnader Areshchenko ensured a thrilling end to the 8th Parsvnath International Chess Tournament by setting for a draw with fellow Ukrainian Grandmaster Yuriy Kuzubov in the eleventh and final round at Ludlow Castle Sports Complex here on Sunday. Areshchenko tied for the top spot along with national champion Parimarjan Negi, Yuriy Kuzubov, Austrian Grandmaster Ragger Markus and highly regarded Chinese Grandmaster Ni Hua with 9 points each but better tie break score helped Areshchenko to take the Winners trophy and pocketed a shared cash prize of 1.51 lakh rupees while Negi finished second and Kuzubov satisfied with third spot finish. Markus and Ni Hua finished fourth and fifth respectively. In the final round encounters Negi overcame CRG Krishna while Markus defeated Grandmaster Hanens Stefansson of Iceland and Ni Hua beat former world junior champion Abhijeet Gupta to catch up with Areshchenko for the pole position. Shri. V P Agarwal, Chairman Airport Authority of India; Shri Suneet Sachar, Vice President Parsvnath Developers; Shri Dhiraj Raghuvanshi, President Uttaranchal Chess Association give away the prizes in presence of Shri. Bharat Singh, President Delhi Chess Association. This is the sixth game featured in Raymond Keene's book Duels Of The Mind : The Twelve Best Games of Chess. It was a relatively easy won for me. My opponent simply surrendered to my king side attack in the middle game where I came out a piece up but exchange down. The rest of the game was a routine. A good game of G/60 which was ultimately drawn as I could not take advatange of my one pawn up position due to a close Rook Ending. Ganesh and I picked lunched from Oasis Grill across the street and played our fourth round and final game in 15th Floor of our 1 California building. Ganesh played quite an attacking game but I kept the edge after winning the exchange. Finally in a time pressure he found himself a piece down before resigning. With this win (4 out of 4) I am became the champion of this tournament. Good feeling!